Photo by Erica Robert Pallo. 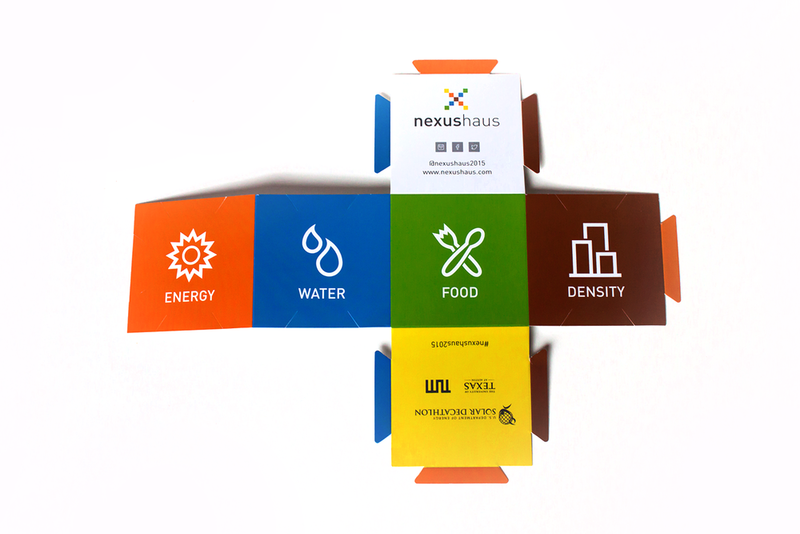 The University of Texas at Austin and Technische Universität München teamed up to form Team NexusHaus for the 2015 Solar Decathlon. I joined the team in the summer of 2014 assisting with marketing materials and social media. 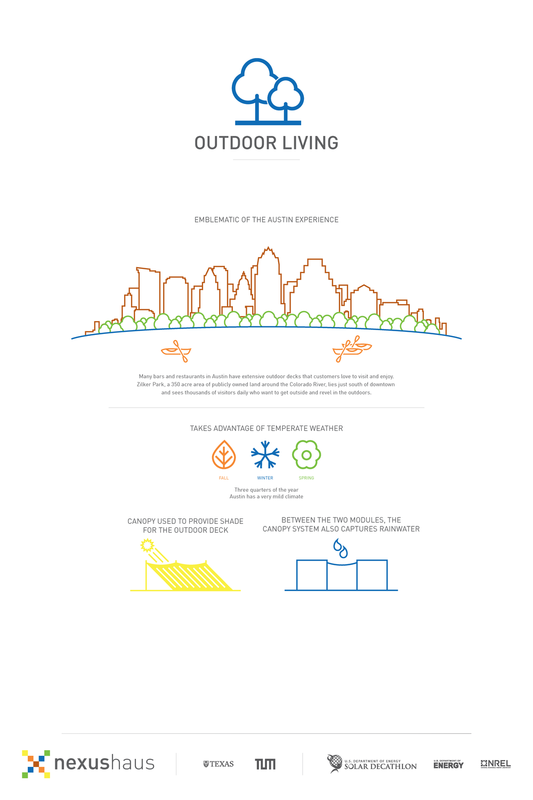 In the summer leading up to the competition, I designed the handout for the exhibition and created simplified 3D diagrams to explain our energy, water, aquaponics, and life cycle design. 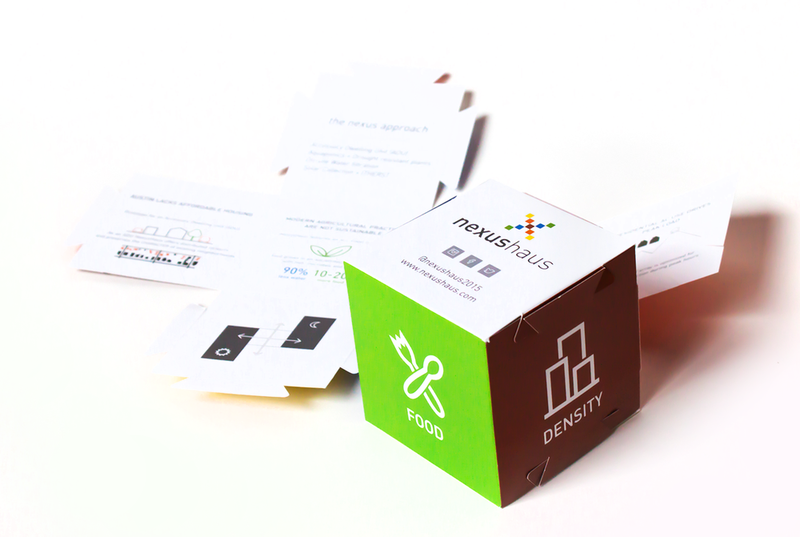 The website and icons for NexusHaus were designed by Kelsey Kaiser. Our communications team was responsible for photography, media outreach and events, in addition to the communications deliverables as one of the ten competition categories. Jessica Janzen was instrumental in handling our public relations events and sponsors. Eneida Lila was our TUM counterpart. She helped with the exhibition days in Irvine and social media throughout. I coordinated the printing of our handouts and posters for the exhibition in Irvine. We wanted to make something that would be appropriate for our brand and provide more entertainment than a conventional postcard. I got to take part in the first week of the competition. My jobs were to finish the interiors, run the social media accounts, take photos, and to help wherever possible. For more photos and information, please visit our Facebook page: www.facebook.com/nexushaus2015 or our website www.nexushaus.com.